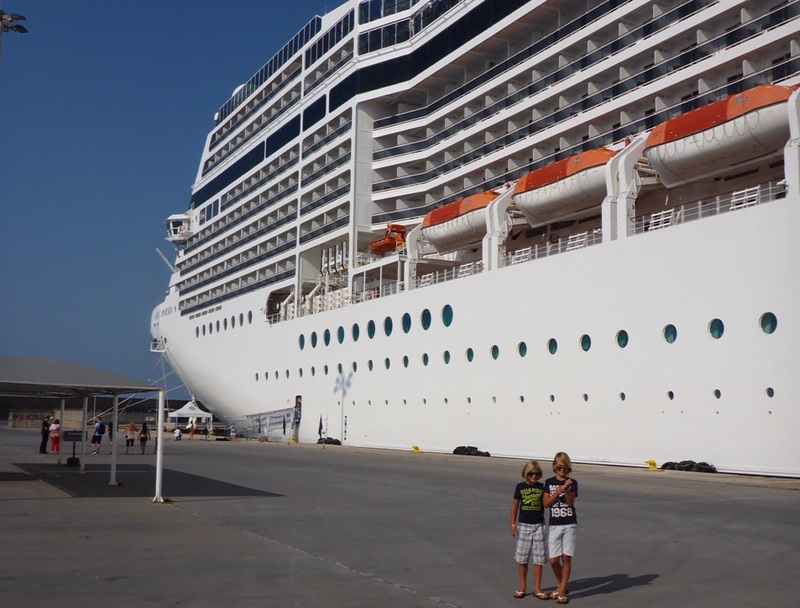 My two boys are now on a cruise with their father. And I talked to Big Boy on the phone. Fortunately, they won’t stay all eight days on the ship. For example, there was a day trip to a Greek Island where they found a free Wi-Fi in a restaurant. For sure, about 2500 passengers on this swimming hotel aren’t a small amount of people. I agree. I am glad that I don’t have to discuss with my boys about the daily gaming time for the moment being, but certainly more intensively at their return. A withdrawal is always a hard thing to do. And the good thing: They’ll be surely appreciating coming back to sweet, quiet home. P.S. Thanks to the father for the picture.